OrthoManhattan has a great story. We brought together 5 well-respected and successful orthopedic surgeons, each with fellowship-training and subspecialty expertise. Our doctors sport a combined 100 years of orthopedic practice. While caring for our patients, we have each been involved in research and teaching at the international, national, regional, and local levels. Our subspecialties include Spine, Sports Medicine, Shoulder, Elbow and Hand Surgery, and Performing Arts Medicine. Our mission is simple: We strive to provide the most advanced, compassionate, state of the art orthopedic care anywhere and to do it with expert empathic staff and a beautiful new office overlooking Madison Avenue in the heart of Manhattan. Every private practice has an origin story and as we know, the best stories involve a central mission. While our mission at OrthoManhattan is rather simple in nature, it’s more complex in application: to provide both the most advanced, and the best, orthopedic care. While our tale lacks a few dramatic twist and turns, it has gotten us where we are today. Which we’re happy to report — involves a team of experienced orthopedic surgeons and support staff that indeed provide the most advanced, and the best, orthopedic care. How did OrthoManhattan start? And why? Dr. Steven Glickel, Dr. Alton Barron, and Dr. Louis Catalano have been practicing together their entire careers. They with their forebears, Drs. J. William Littler and Richard G. Eaton, built the CV Starr Hand Surgery Center at Roosevelt Hospital decades ago. When Mt. Sinai took over their hospital and ownership of their center, Drs. Glickel, Barron, and Catalano decided it was time to assert their independence and create something new and even more special. It was through longstanding friendship, collegiality and deep mutual respect as clinicians that Dr. Adam Cohen and Dr. Jonathan Stieber decided to join forces with the others. And so it was that OrthoManhattan was born. 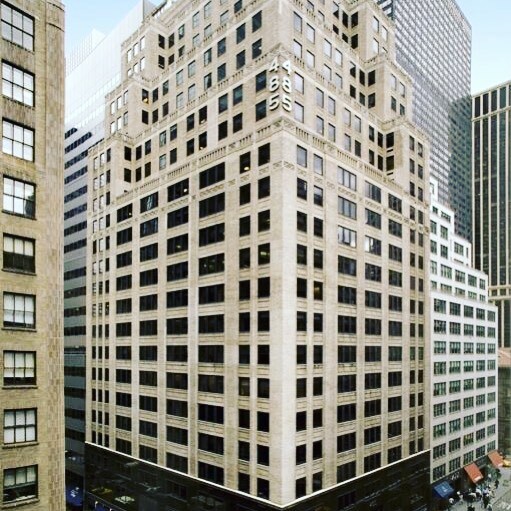 These doctors found and built a bright, beautiful, state of the art office on Madison Avenue, and created a private academic practice where they could bring the best surgeons together and provide an unparalleled level of patient care. What makes OrthoManhattan different from other private practices? Our story reflects our mission: Five surgeons on a mission to create better patient experiences and outcomes. After learning our story, we hope that you will join our OrthoManhattan family and allow us to treat your orthopedic issues so that you can return to living out your story.